The term "pet sitter" implies someone “sits” with your pet the entire time you are gone, but in most cases, however, it would be better to use the term “pet checker” as most only check on your pet once or twice during a twenty-four hour period. Many times there is little or no supervision, exercise or companionship. Emphasis all too frequently is placed more on the quantity of calls rather than the pet’s welfare since pet checkers are usually paid by the job or visit..... there are differences, and you should know about them before you leave your pet home alone! Misconceptions Many misconceptions exist between what pet care professionals can provide, and what a pet checker does in the absence of pet owners. Since Bokhara Pet Resort & Grooming Spa has a genuine interest in the welfare of the pets they care for, here are some points for consideration. At Bokhara Pet Resort & Grooming Spa our kennel staff is available throughout the entire day, and during the night time hours, to provide care should the need arise. Evening bed checks are performed several times every evening to make sure your pet is safe and secure before retiring for the night. Pet may suffer from separation anxiety and extreme boredom. Pet may bar entry into your home - "protecting" his home, or hide under a bed preventing adequate care. Pet may destroy your home, yard, belongings, or even forget basic house training. Pet may escape and run away to find his owner, or hurt himself trying, especially during thunderstorms, or fireworks. One of the primary reasons pet owners revert to a pet checkers is price. As you well know, good quality care does not come cheap, but consider that Bokhara Pet Resort & Spa has invested a great deal of capital into their facilities. Bokhara Pet Resort & Grooming Spa is financially motivated to provide excellent pet care and services which lead to a long-lasting repeat relationship with the pet owner. Provides structured social environment with care givers and other pets present. Pets are encouraged to participate, eat, eliminate several times a day, and are NOT left to fend for themselves. Social interaction & routines are designed for the pets physical and emotional health: i.e. playtimes, treats, toys, walks, frisbee sessions, tennis sessions, and grooming needs. ​Immediate treatment of illness, injury & stress-related symptoms are identified quickly. Bokhara provides extra services for old, young and sensitive pets to alleviate anxiety through the use of kind words, raised beds, and special preparation of diets. As most dogs that end up as strays or in pounds have escaped from their own yard while the owner was away, escape from Bokhara Pet Resort & Grooming Spa is almost non-existent as we are double fenced from the floor line to roof line to keep our guests safely in and unwanted others out. Security gate snaps are in place inside the building and outside in the outside areas. 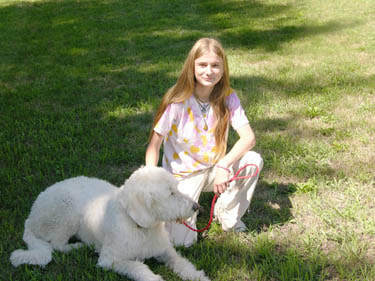 Staff at Bokhara Pet Resort & Grooming Spa is dedicated to providing the very best care for your pet while in our care. We look at pet boarding as a fun-filled vacation for you pet while you are away! Pet checkers can't match these routines without several costly trips to the owner's house and just may miss or overlook important signs during the short time they are in your home. 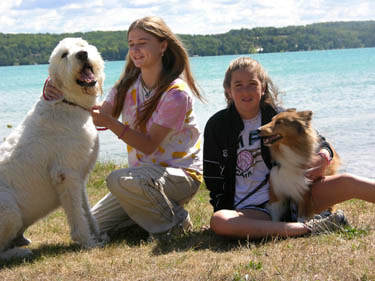 Boarded pets are observed by full-time staff and the owners live on the premises. The pets' well-being is our 1st priority. Health or behavior problems can then be referred to the right specialists. Bokhara Pet Resort & Spa employees regularly notice symptoms even the most attentive owners might overlook at home. Boarded pets may receive flea treatments, skin, coat and medical care as needed or as directed by their veterinarian each time they board. Boarded pets are required to have all vaccinations current for contagious diseases. Pet checkers going from house to house may introduce virus to a pet in another house on their route. Boarded pets do not destroy carpeting, drapes, landscaping or your relationship with your neighbors while you are out of town. Home Security While the care and well being of your pets is your main concern, you should also consider the risks of strangers (whether bonded or not) having access to your home and personal property. Separation Anxiety Pets suffer emotional stress when their owners leave whether they're left at home or placed in a boarding kennel. It's how those providing the care respond that makes the difference in the pet's emotional state. Health & Welfare Stresses brought on by the pet owner leaving may cause an illness to come on quickly. Disorders such as bloat, diarrhea and heatstroke need prompt attention or the pet may suffer needlessly. Home accidents such as ingesting household poisons, injuries or bee stings can be fatal if not treated immediately. Pets on medication should receive it on schedule and be monitored for side effects and other symptoms. Extra effort must be made to keep the convalescing pet comfortable, clean, eating, eliminating and to make follow-up visits to the veterinarian. At Bokhara Pet Resort & Grooming Spa pets are monitored throughout the day & evening by staff trained to recognize early signs of illness. This prevents problems from escalating. Staffing at Bokhara allows the pet to be taken to your veterinarian immediately if needed, and ensures the veterinarian's instructions are followed throughout the convalescence. A pet checker may not notice a problem until a late check, at which time the pet may be critical and need the services of an emergency clinic, at a greater cost to the owner. Should problems occur moments after a pet checker leaves, it may be many hours before it is noticed - a very serious and possible deadly delay.